The East Midlands is about 100 miles NE of London. The nearest villages to us are Ashby, Swannington, and Coleorton. This is a wonderful part of England, dotted with small villages that still have a strong rural feel. It is also the home of many country inns and pubs. 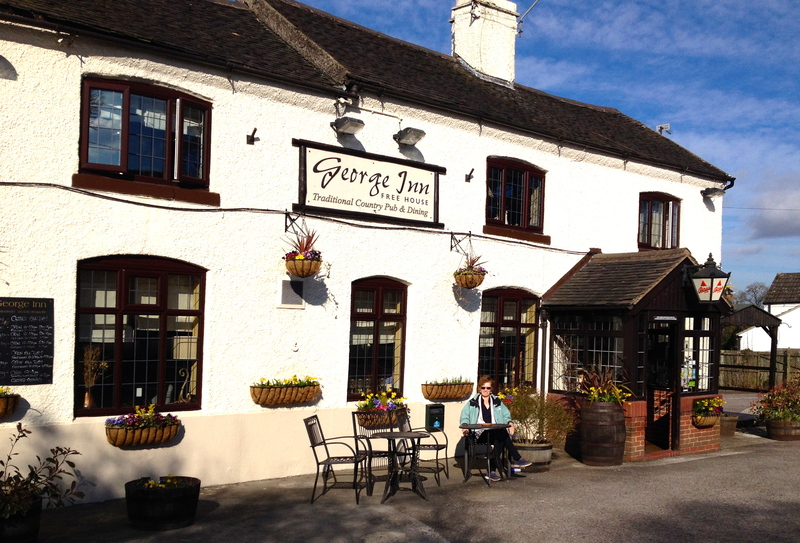 A great one, “The George Inn”, is located 1.5 miles down the road from us. We adapted it as “our local” upon arrival. 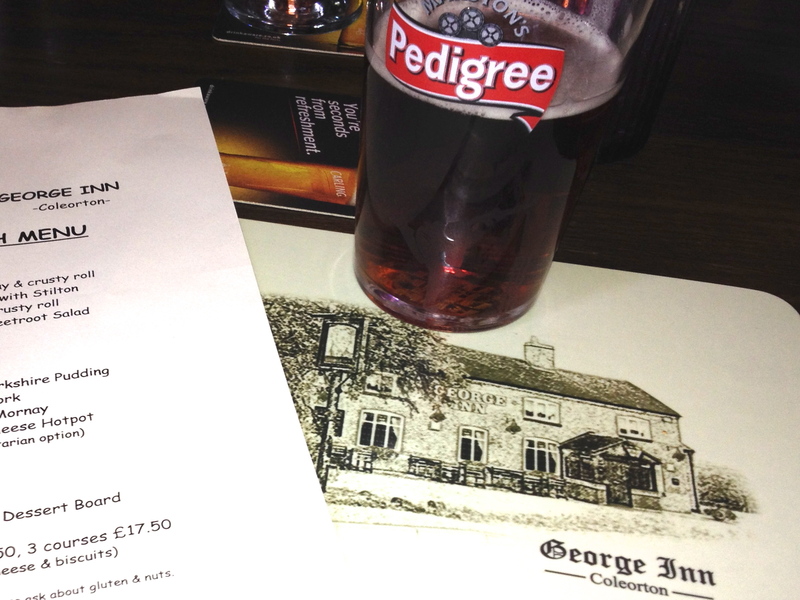 The first visit was after work for a couple of “pints” of a great local bitter called Pedigree. Bitter, as most of you know, is a pale ale with a substantial amount of hops, served at room temperature. It has a low level of carbonation and is generally “conditioned” or brewed in the cask or keg, which is delivered directly to the pub. When done correctly, the beer is hand-pumped directly from the keg, which is usually kept in the basement of the pub. 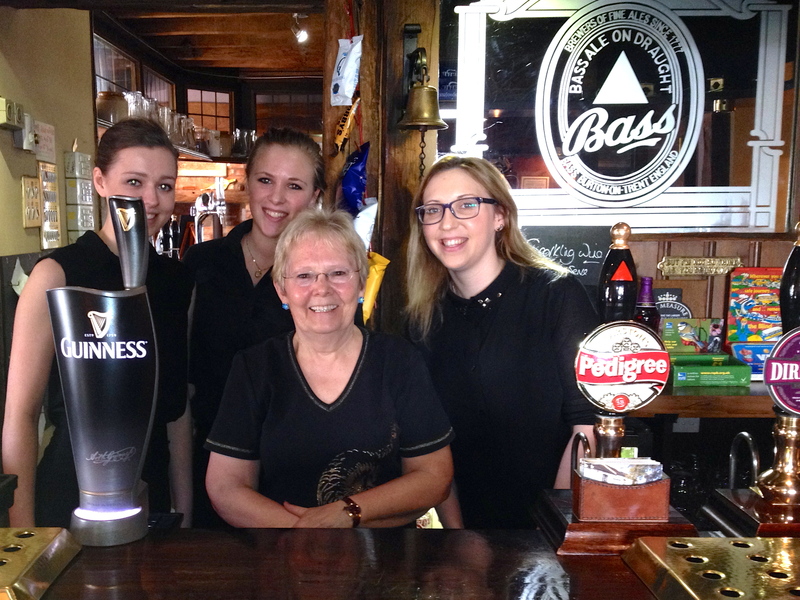 “The George” did it perfectly with some very pretty barmaids building their muscles with the pump. 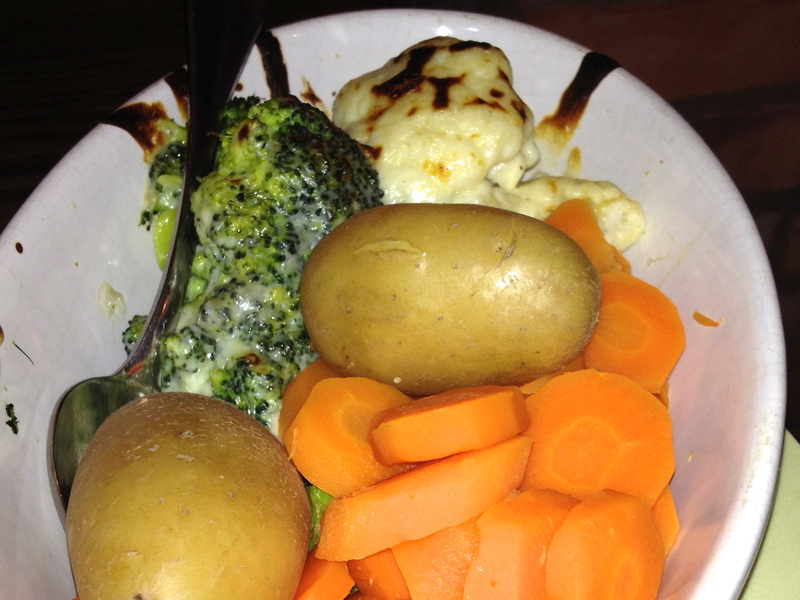 The following day, Friday, we returned for a “pub lunch”. 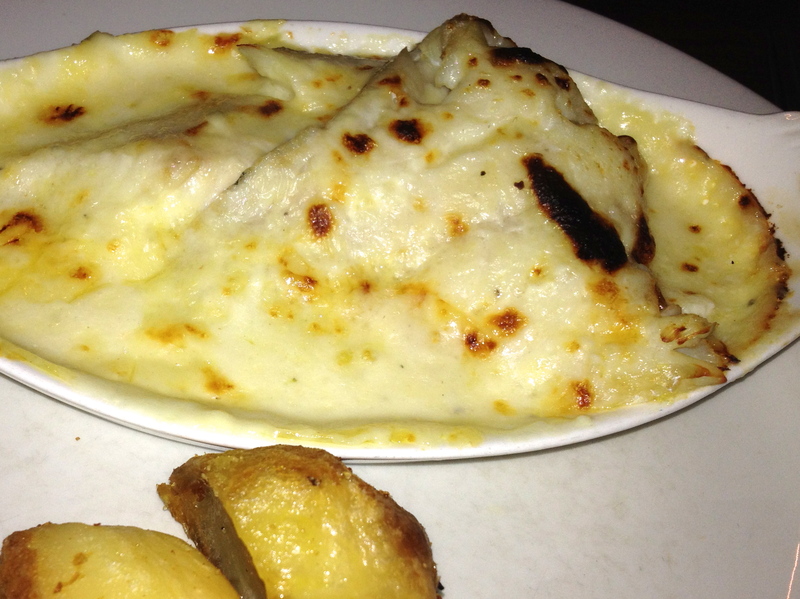 This is generally the best food in the UK and all of the pubs compete mightily in this area. 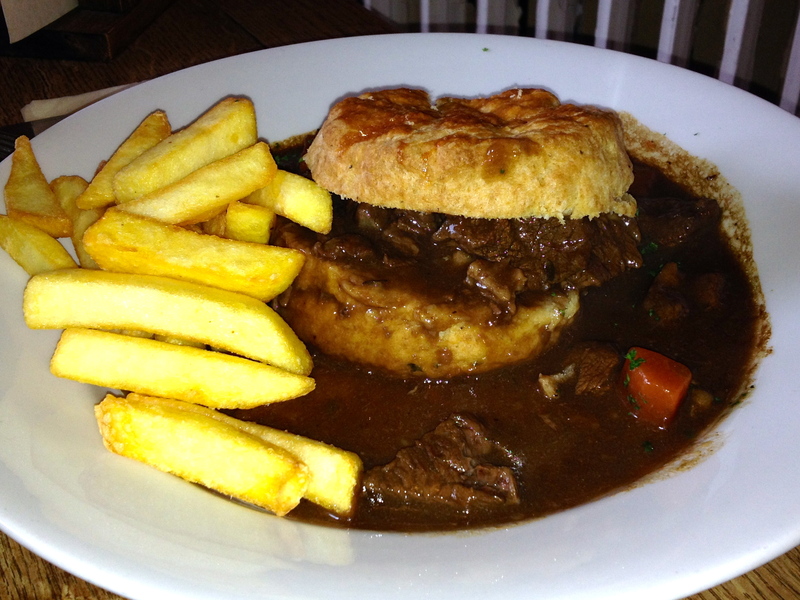 You can be fairly sure to always find Fish & Chips and Steak & Ale Pie on any good pub menu. We tried both of these favorites. 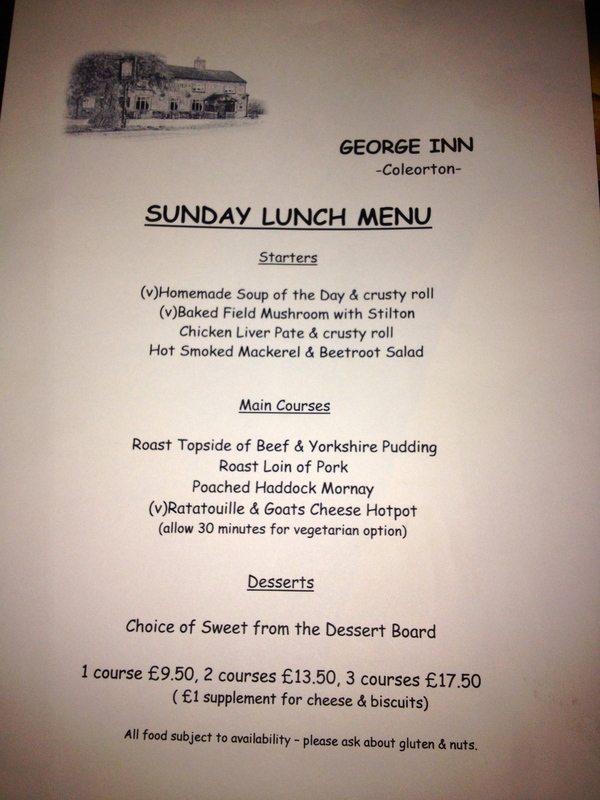 On Sunday, we went for the traditional Sunday lunch that every pub in the entire nation serves from 12:00 – 2:00PM. 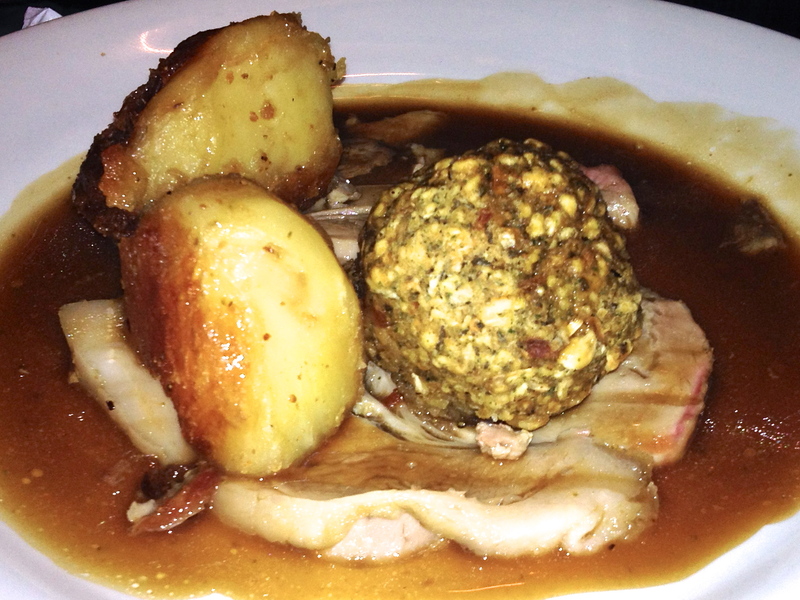 As suspected, Roast Beef and Yorkshire Pudding was first on the menu, but they also had two other favorites – Roast Loin of Pork and Haddock with Mornay Sauce. 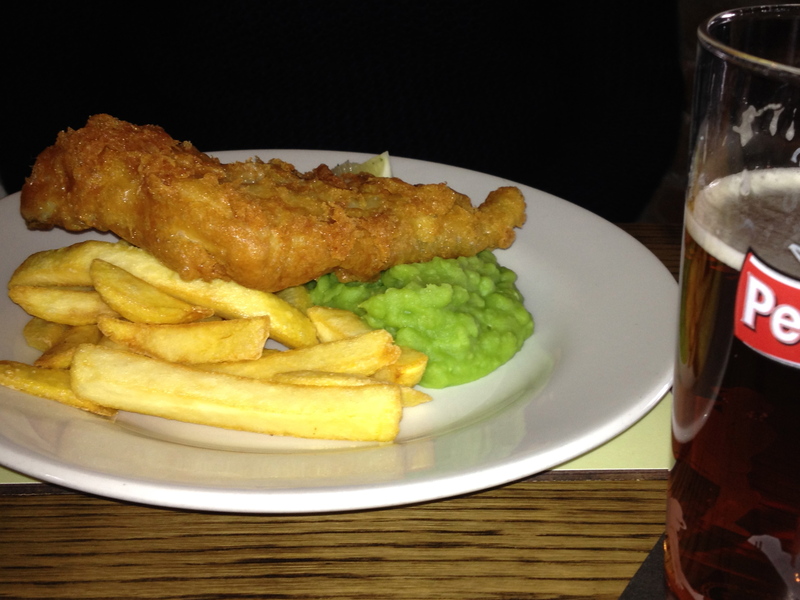 If you went to 100 pubs, you would see the Roast Beef in all 100 and the Pork and Haddock in probably 90. The Brits love tradition.